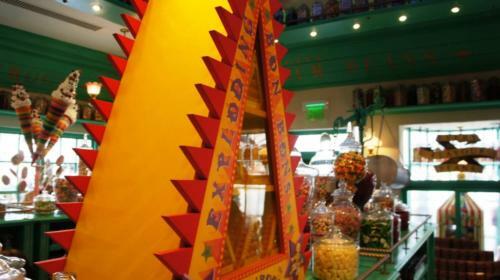 The flagship wizarding shop of Hogsmeade, Honeydukes looks almost exactly like it does in the movie Harry Potter and the Prisoner of Azkaban – and, even better, it’s filled with many of the same delicious sweets and candies. Whether you stop by just to admire its detailed decor or to go souvenir shopping, visiting Honeydukes is easily one of the biggest must-dos at the Wizarding World. Bright, vivid, and fanciful, Honeydukes is filled with color, from the peppermint-green shelves to the display bottles and jars that line some of the walls and top some of the shelving units. 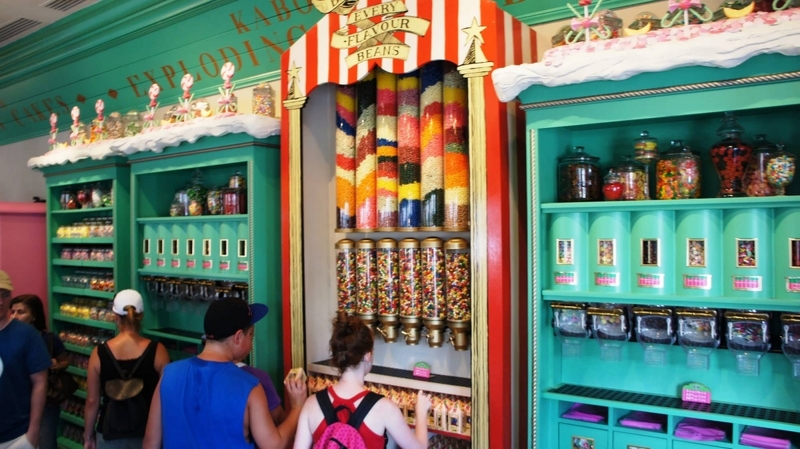 The aesthetic is bold yet minimalistic (at least, compared to the rest of The Wizarding World of Harry Potter – Hogsmeade), a purposeful choice in order to let the real heart of the theming and the action – the candies themselves – really shine; not only are the sweet treats everywhere in the store, they each also brandish more than enough color by themselves, from their appearances to their packaging. 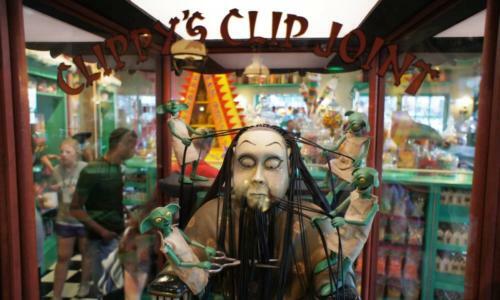 In other words, all that (over) stimulation you feel as you walk through the magical space isn’t just from the promise of a sugar rush. 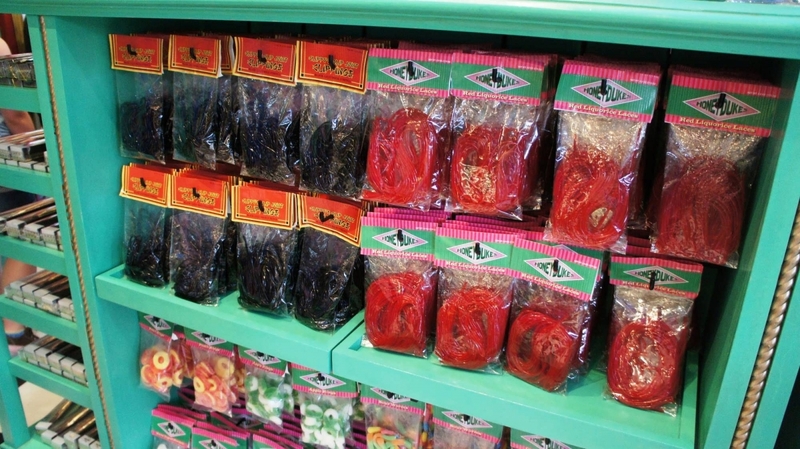 Candy, candy, and more candy! 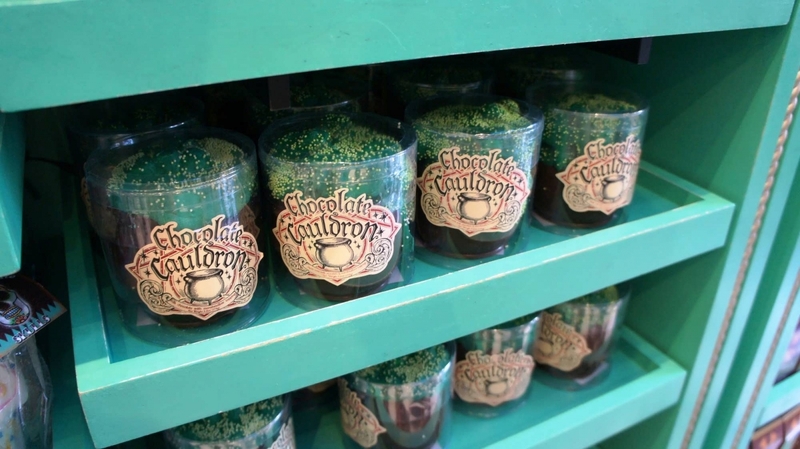 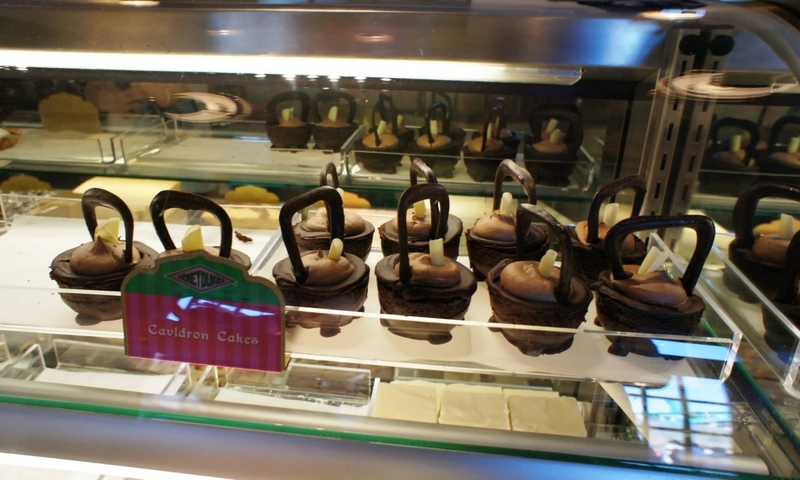 The (wizarding) world-famous Chocolate Frogs and Bertie Bott’s Every-Flavor Beans can, of course, be found here, but don’t forget Cauldron Cakes, dipped apples, Pumpkin Pasties, Chocolate Wands, Sugar Quills, Chocolate Cauldrons, and the entire fudge section that sits in the back half of the shop. 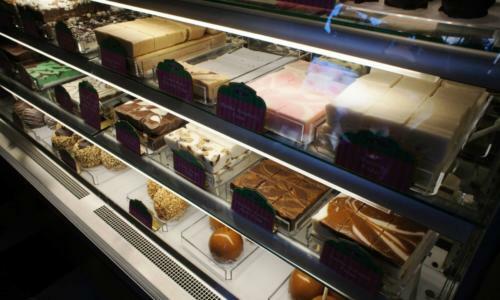 You can easily spend a half-hour in here just taking in all the different delectable wares before you even know it. And Honeydukes’s price range is just as wide as is its product line, starting at $4 and shooting all the way up to $20 (for the fudge special). 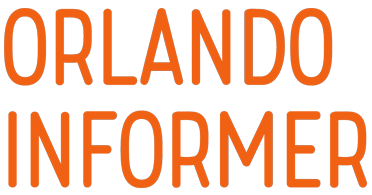 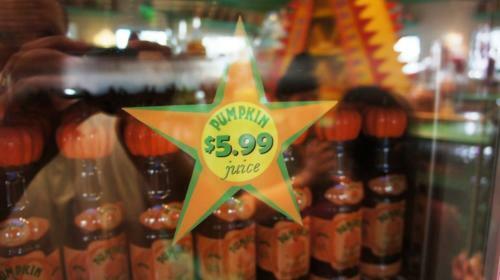 It isn’t surprising to say that Honeydukes has always been the premier shopping experience at Hogsmeade, going all the way back to the land’s opening day of June 18, 2010. 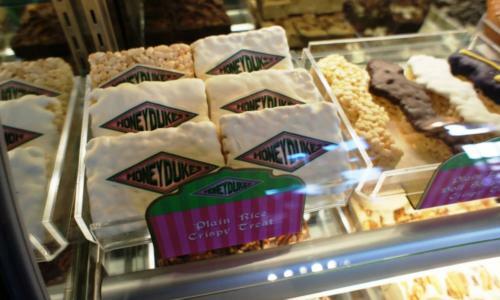 What may come as a bit of a shock, however, is just how small the sweets store originally was – initially, Honeydukes shared its space with Zonko’s Joke Shop (the half of Honeydukes with the green walls is where Zonko’s used to reside), but on April 26, 2014, the joke store was permanently shuttered and all of its merchandise was shipped over to the soon-to-open Wizarding World of Harry Potter – Diagon Alley, where it all found a new (and more authentic) home at Weasley’s Wizard Wheezes. 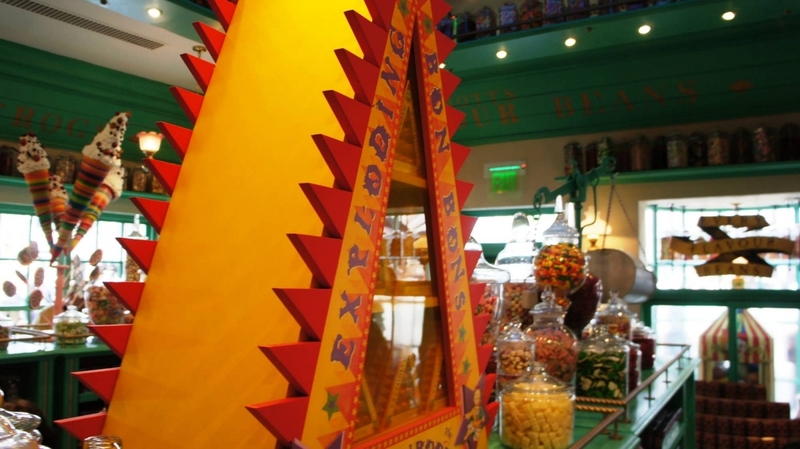 So the next time you’re squeezed into Honeydukes with a large number of your fellow sugar-starved muggles, just think how much better it is now that the shop is literally twice the size it used to be. 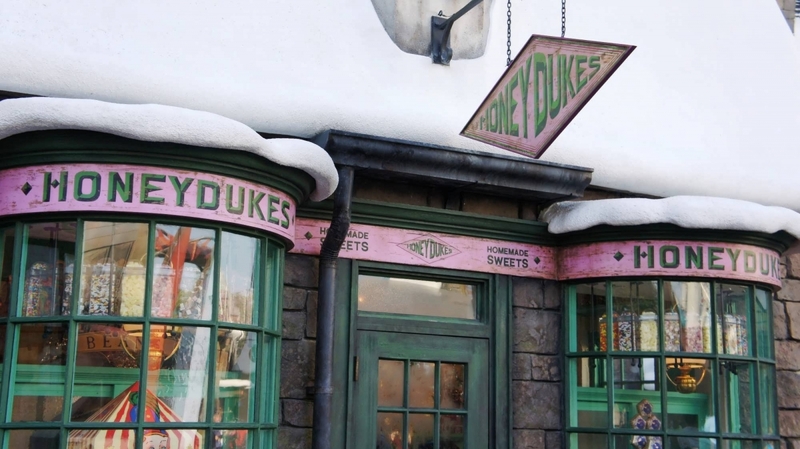 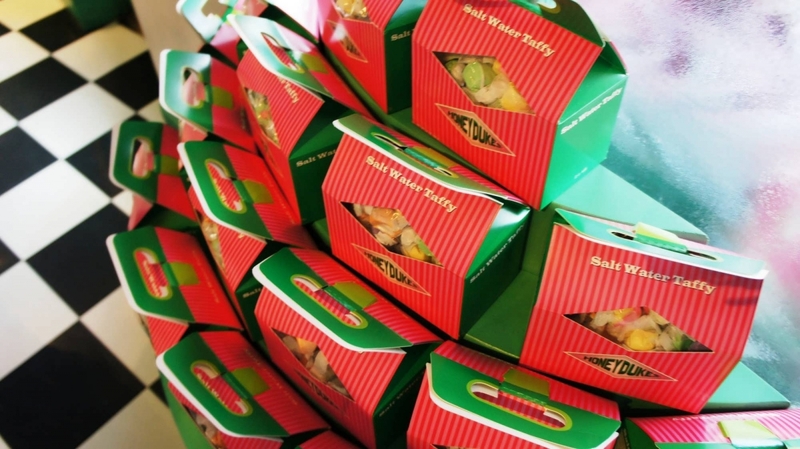 For the first five-and-a-half years of its existence, Honeydukes was the only place to get your sweet-tooth fix – but this changed in January 2016, when Universal (wisely) opened Sugarplum’s Sweets Shop over in Diagon Alley. 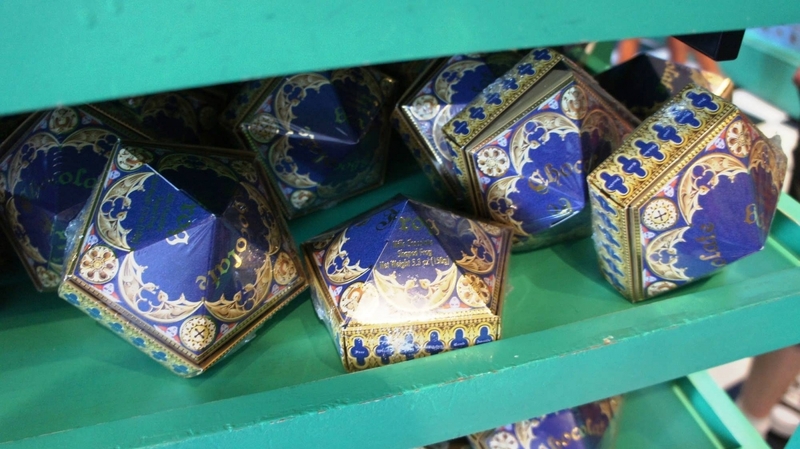 Although the two locations essentially share the same exact lineup, it’s still nice to not have to take the Hogwarts Express over to Scotland to scratch your Butterbeer-fudge itch.